I went ahead and looked up the definition of busy for curiosity’s sake. Synonyms: occupied, engaged, involved, working, hard at work, hard pressed, swamped, absorbed, immersed, preoccupied. 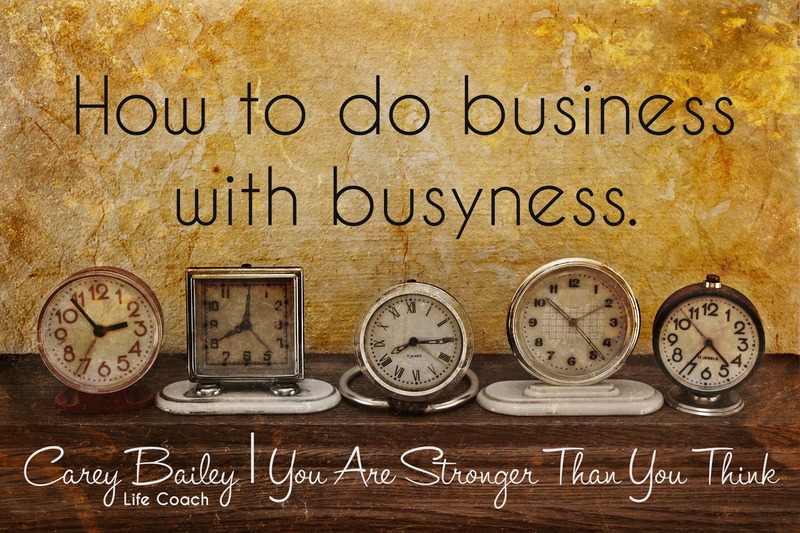 Why do you choose busy? When I think about busy women I automatically adventure in my mind to the story of Mary and Martha. We are so quick to judge Martha and her mission to make a Pinterest perfect meal for Jesus, but her outrage and frustration resonates because it is so relatable. I 100% understand her choice of busy and sometimes wonder how in the world Jesus didn’t see value in her actions. Let’s jog our memories about how the story goes. Do you find yourself wearing Martha’s shoes daily? Do you feel like you are always being pulled and tugged? If so, I would encourage you to ask yourself 3 questions. Does God have a defined space and place in your day to day? Please know my heart here. I don’t believe you HAVE TO have a set number of minutes dedicated to God in your day. I believe our entire lives are an act of worship which means God is in our scripture reading as much as He is in our time dish washing. It is about the posture of your heart in those spaces. Do you invite God in through worship music, prayer, or scripture reading ?Do you allow yourself to receive Him? You can take a few moments in your busy day and read a verse on You Version or see scripture pass before your eyes on Facebook but do you actually stop and ask “God, what do you have for me in this word?” He is quite possibly prompting you to slow down. Over a year ago I selfishly started Pin God 1St. It is a monthly challenge for women to read a set passage of scripture prior to checking any social media feeds. I have been amazed at the response. Busy or not we need to choose God 1st in our lives so that our minds are conditioned to choose Him throughout our day. God should hear our heart personally not through our Twitter feed. If God doesn’t have designated time from you currently, then go ahead grab your phone right now. Yes, right now. You got it? Now set your alarm to go off 30 minutes earlier tomorrow and set yourself a new reminder “God time =’s JOY”. 2. Are you worked up over nothing? 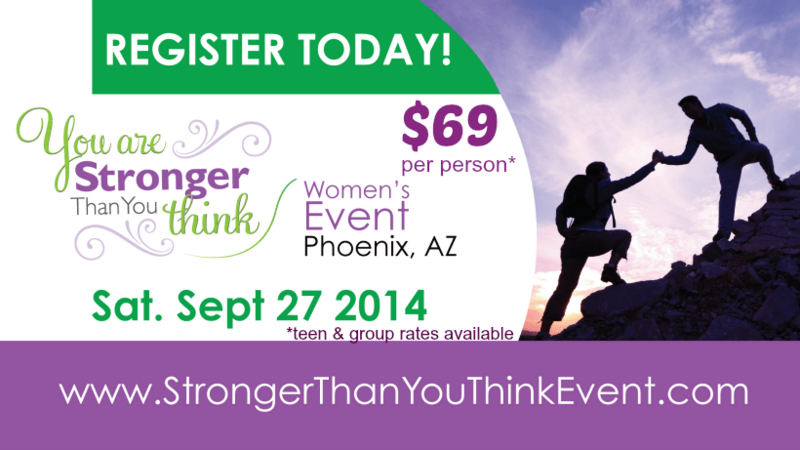 To continue reading jump on over to the You Are Stronger Than You Think blog. I am thrilled to be speaking in September at a Phoenix, Arizona one day conference designed to encouraged and equipped women in their faith, work and home. Grab your tickets today or sign up with a group of friends from your church here. See you there.